While it may seem like the trees on your property need little in the way of care from you, there are some things that you are going to want to do over time to make sure that your trees have the ability to keep growing and thriving. Trees are susceptible to all of the elements they are exposed to – the weather, storms, insects, the sun and more – and while you may think that calling a tree service is only needed when you need to have a tree taken down and removed, you can actually benefit greatly from having them come in and trim trees for you. There is a science involved in tree trimming in Newbury Park that can help extend the life of your trees. There can be a few clues that you can notice that can give you signs that your trees may be in need of trimming. If you can physically see areas of your tree that have damaged and broken limbs, areas of dead limbs or dead spots or spots that seem to have disease or are ridden with pests and insects, you should consider getting the tree trimmed. Cutting away these damaged or dead areas will help your tree heal easily and more rapidly from the injuries it has suffered. When you remove the damage from the tree it allows for new growth to occur within the tree. 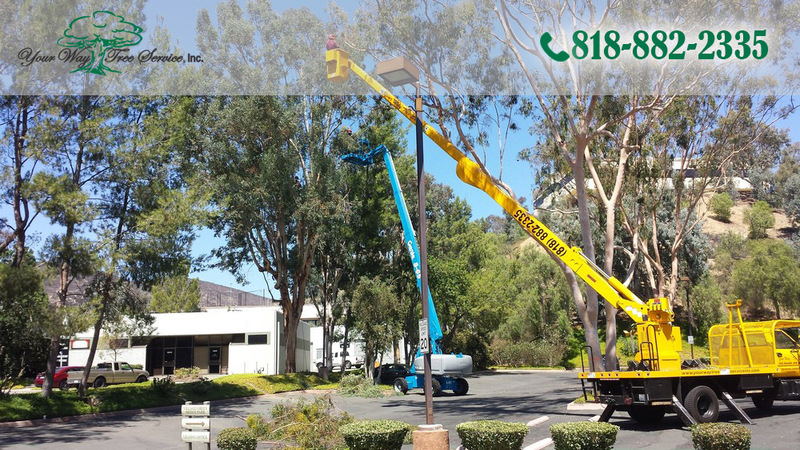 You want tree trimming in Newbury Park to help the overall health of your tree even if there are not any noticeably damaged areas. Trees need to be trimmed periodically as part of the basic maintenance of the tree in order to help keep it healthy. A professional service can come in and then will do more than just trim branches; they will work to help keep the tree properly balanced and in proportion so that it looks its best and is able to get all of the nutrients needed to continue with healthy re-growth. 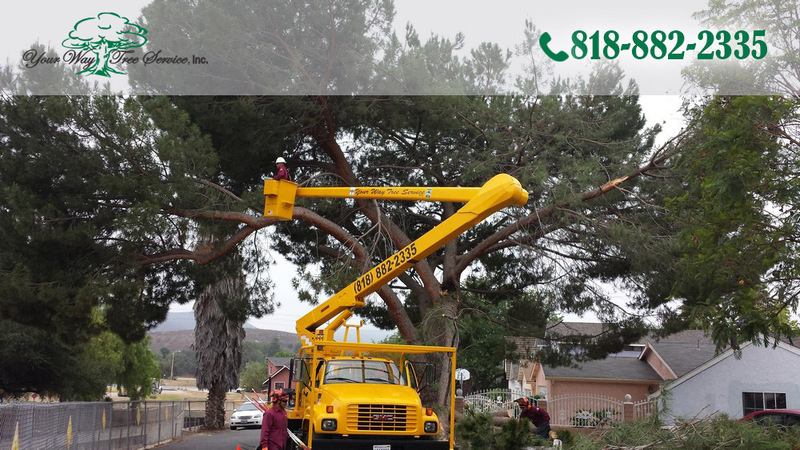 In order to make sure you get the proper tree trimming in Newbury Park that your trees need you want to make sure you call the experts at Your Way Tree Service, Inc. at 818-882-2335. Your Way Tree Service, Inc. can provide you with all of the services you may need for your tree in order to keep them at their best so they can thrive and grow for many years.